Dr. Praveen Mirdha has an M.A., English (Gold Medalist), an M. Phil. 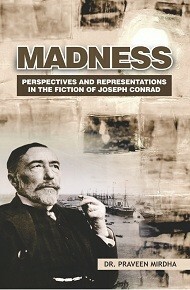 (ELT) from Banasthali Vidyapith, Banasthali, and a Ph.D. on Joseph Conrad’s Fiction from the University of Rajasthan, Jaipur. She has been teaching English Literature and Language for the last twenty-two years. She began her teaching career at Banasthali Vidyapith, Banasthali and then joined the Department of College Education, Government of Rajasthan, Jaipur. 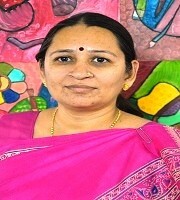 Since 1995, she has been teaching at Government College, Ajmer and Government Girls’ College, Ajmer. Dr. Mirdha has also been a member of BOS with M. D. S. University, Ajmer and has worked as a subject-expert for Rajasthan Public Service Commission, Ajmer. She has prepared course material for the Distance Education Learning Programme of Vardhman Mahaveer Open University, Kota. Dr. Mirdha has research publications on Partition Fiction in the Indian Sub-Continent and Joseph Conrad’s short-stories. Her literary interest include fictional writings, gender studies and women’s writings, travel writing, cross-cultural literature and literature written or translated in Hindi.